Level up and create that killer portfolio piece that opens doors! Let's get one thing out in the open right off the bat: drawing the human face is not so easy. Nothing we really want to do is. Early on in my own journey I remember copying from photos or from one of my favorite illustrators putting lots of time and energy into a portrait only to discover (after it was too late) that the whole drawing had gone very wrong. I remember the pain and frustration it caused me because I didn't know how it went off course or how to save it from ending up in the trash. What was even worse was trying to draw from imagination–that was a total disaster, and I lived in fear of anyone seeing any of those drawings because then my biggest secret would be exposed: I was a terrible artist, and I didn't have the chops to make a "good" drawing. 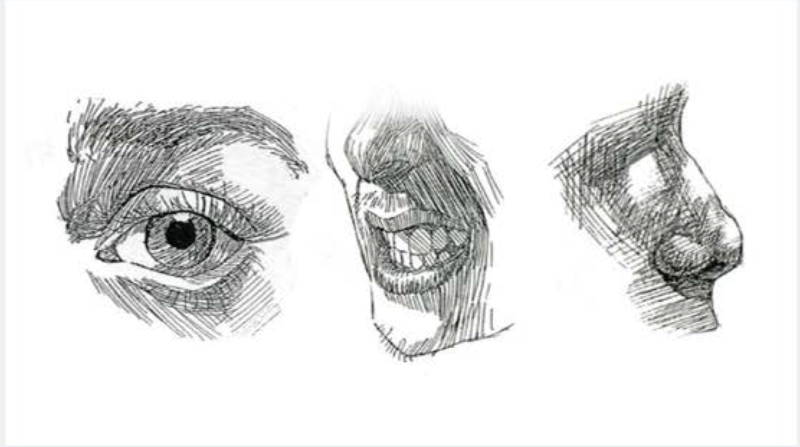 But...what if there was a simple 7–step process that allowed you to draw the face from any angle, believably in the style you choose, both from observation and imagination, and apply it to your career as well as your personal vision and expression? I have been drawing and painting as a professional in the entertainment field both here in America and abroad in China as an animator and director for clients like MTV, HBO, and Nike. I have also worked as both an in house and freelance concept artist for various studios like Electronic Arts, Sony Online, Blizzard, Activision and more. 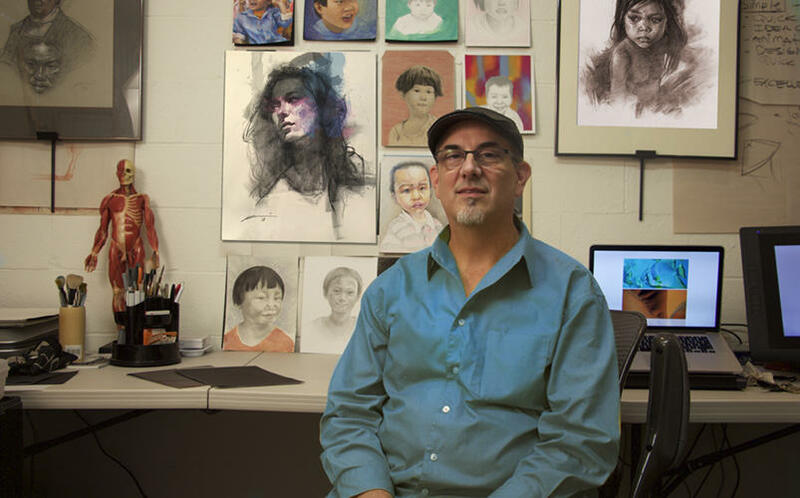 I taught hundreds of students portraiture and figure drawing at several major universities in Northern California. All the while I continued to draw and paint portraits which I LOVE to do. It's my passion, so much so I wrote a book about it called "Essence: discovering the art of the portrait". That's over 25 years of my life, and it has been great living my dream. I remember it so clearly though when it all came crashing down. That moment in my mind when I lost all hope and believed my art career was over. That was tough. You see…a few years back I went through the devastating experience of being blinded in one eye, for ever, because of a rare condition called NION. That hit me too close to the bone. As I was reeling from disbelief this one thought crowded my mind: how could this condition rob me of my lively hood by taking away the very thing I needed to do it, my eye sight? It almost did just that. But I didn't give up. It was do or die. There was a glimmer of hope, however small, from somewhere inside me, and I knew that maybe I just needed time. Time to learn how to cope with it, time to learn how to work around it. From that point on I would know that I was not someone who gave up so easily. I was not a quitter. I all I needed was courage, prayers and a little support from friends and loved ones. I needed some knowledge and lots of practice too. Over the course of a year I worked up the courage to get back in the studio that I had just started renting. The first few visits were tenuous: I was scared because I was wasn't sure if I picked up a pencil if could even draw anymore. It was bad. It was during that challenging time of facing my fears and working hard to regain my skills that I developed a framework that helped me climb out of the dark pit of despair and get my drawing skills back on track. 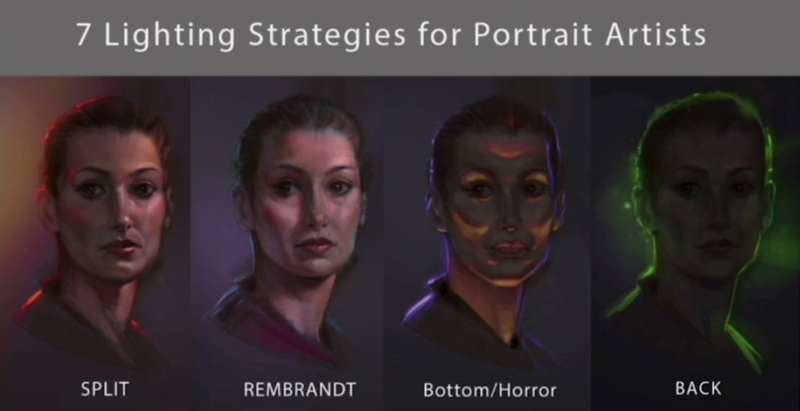 SEE, CONSTRUCT, ACTION, FORM, OBJECTIVE LIGHTING and DRAW! 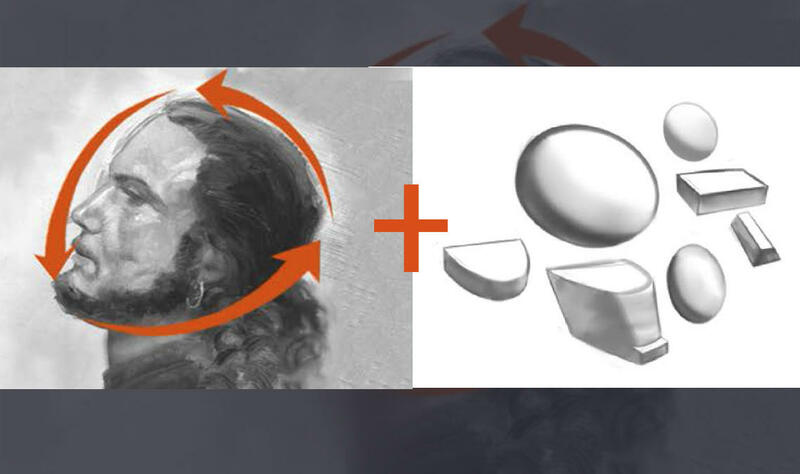 This approach got me out of that place where I didn't know if I could ever draw again and losing my career, to being able to gain the confidence to draw again professionally AND draw better than ever. You can use my SCAF(F)OLD framework as leverage to climb up and out of any portrait drawing obstacles or anxieties you may find yourself faced with. 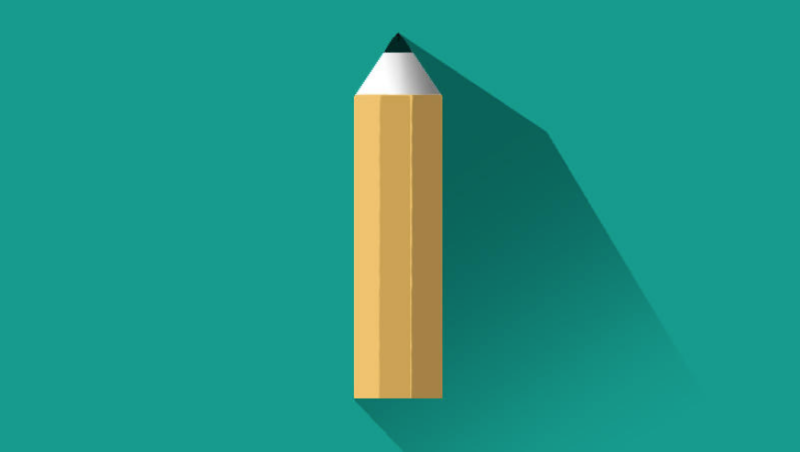 It's a practical, step-by-step way that is rooted in the First Principles method of solving problems used for centuries by great thinkers to solve big and small problems alike. 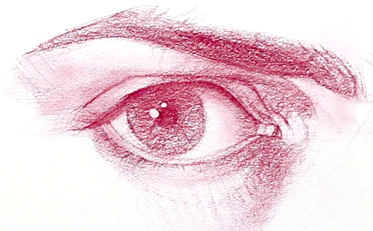 If you are just starting out drawing portraits this will help you start fast. If you are already an artist with some experience this is how you grow your skillset to continue your artistic visions or professional career. In this module you will discover the first big obstacle facing any artist occurs at the level of interpreting what it is we see. The second big obstacle for the beginning drawer is related to value. When drawing portraits you will need confidence to see it through and make it look solid AND alive. "Chris was a very approachable teacher, which can be hard to find. Chris pushed me outside my comfort zone, and taught me new techniques I still use professionally. I was pretty set with my process; Chris taught me a new approach that saved me time and effort without sacrificing quality. It was always clear that if you really wanted to learn, he really wanted to teach you. " "Chris Petrocchi is an excellent teacher, he taught me not only how to draw, paint and create, but also how to be a thoughtful artist. His methodology of teaching allowed for a great deal of artistic and personal growth, as well as improved knowledge of form, rendering and the underlying structure of my art. I would not be the artist I am today without his lessons. " "Chris is very responsible for all his students. When I asked for his help, he explained the steps patiently. I was his student in his figure drawing class, and he would always check on each student's drawing to give useful tips. Outside of the classrooms, Chris also posts demos on Youtube. It gave his students a chance to see his process of his illustrations from start to finish, which is truly inspiring to me. He is a very memorable teacher and his positive influence continue to make a big impact in my career path. " 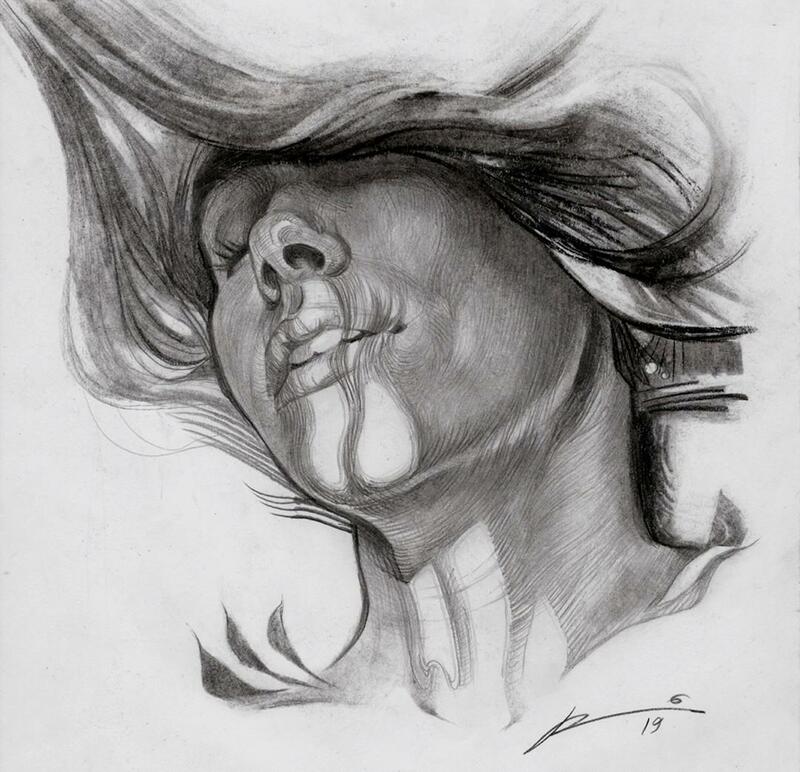 "Chris Petrocchi is very effective in not only helping one gain a better understanding of the fundamentals of drawing but also helping one lay the foundation of working towards being a better artist. For someone wanting to improve their knowledge of the human figure, Chris does an excellent job in breaking down a seemingly overwhelming subject into understandable sections. Along with the teaching fundamentals and applying the knowledge to a process, Chris works hard to understand one's artistic/professional goals and offers invaluable insight and pearls of wisdom from his experience in the industry to help guide one to start creating work that will help one start making those moves towards their goal. " My life in China and how I started making art there! 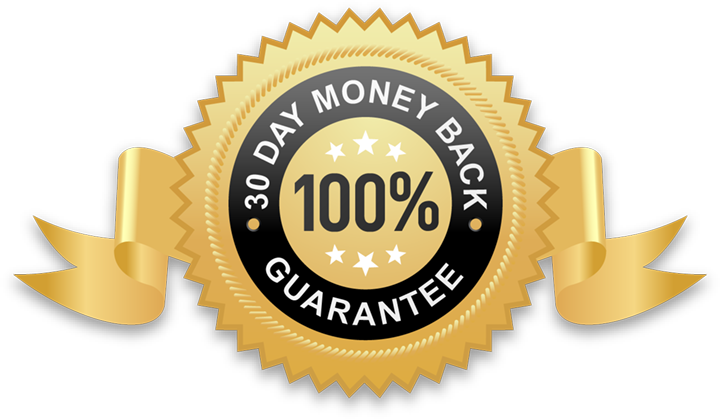 If you are not entirely happy with this course I am offering a RISK FREE 30 DAY money back guarantee. No questions asked.